Dust Collectors There are 15 products. 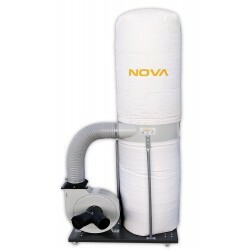 A high quality dust collector for hobby use and various projects. Can be used for both blowing and vacuum. Micro filter, filtering capacity 1 μm. 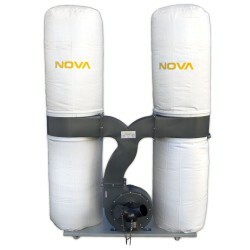 Suitable for example NOVA FM-300, NOVA 2200 and NOVA FM300 S5 models to replace the bag filter. Integrated cleaning brushes inside the filter. 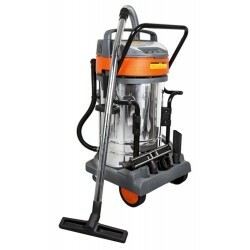 Powerfull vacuum cleaner for grinders, cutters and related machines. Equipped with durable 750 W motor. Effective dust collector with two inlets. Powerfull 1.5 kW motor. Our most sold model for many years. Powerful vacuum cleaner for your garage or shop. 3 motors with a total power of 3000W! When you need very effective dust removal of several machines, we offer the Nova 2200 model., Highly efficient 2200 W 230V / 380V V three-phase motor for superb suction under all conditions (also available in 230 V). Four inlet connections. 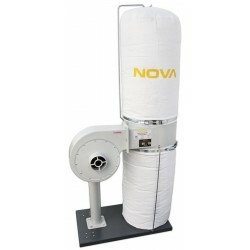 When you need very effective dust removal of several machines, we offer the Nova 2200 model., Highly efficient 2200 W / 230 V three-phase motor for superb suction under all conditions (also available in 230 V). Four inlet connections. When you need very effective dust removal of several machines, we offer the Nova 2200 model., Highly efficient 2200 W / 380 V three-phase motor for superb suction under all conditions (also available in 230 V).